As I compiled this list of my favorite movie theaters, I realized my choices were driven largely by what I saw where and with whom. Naturally, the emphasis is on cinemas located in cities where I lived (or visited often). Perhaps, you have been to some of these theaters or ones like them. More importantly, I'd love to hear about some of your favorite cinemas! Vogue Theatre (Louisville, KY) - The Vogue was the pride of Louisville movie-goers for decades, mixing art films with revivals and the occasional first-run film. I always looked forward to the monthly calendar that showed what would be playing. You could also request movies by writing their titles in a notebook in the lobby. I put Curse of the Demon on the list for several years--and it was eventually shown. The Vogue is also where I saw The Adventures of Robin Hood on the big screen in glorious color--plus of dozens of offbeat films like Walkabout and Brother Sun, Sister Moon. 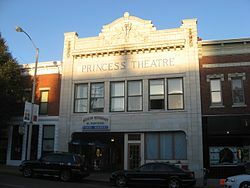 Princess Theatre (Bloomington, IN) - The Princess was built in 1913 and eventually became the home to vaudeville shows and movies. I suspect it was the largest theater in Bloomington and located on the town square. My fondest memories of it date to the late 1970s and early 1980s when it became a "dollar movie house." For a guy (or later, young married couple) on a budget, it was a great place to see films. Plus, it had the best popcorn in town. I saw Halloween there multiple times, plus offbeat unusual selections such as David Cronenberg's Brood. A dear friend wrote about the Princess on this blog in 2011. The building is now on the National Register of Historic Places, though it has long ceased to show movies. Club Haven Cinema (Winston-Salem, NC) - It was undoubtedly the smallest movie theater I ever visited. The boxoffice window opened directly to the concession area so that one person could sell tickets and popcorn without moving. The screen was small, too, but it made you feel like the movie was being projected just for you and your friends. It couldn't compete with the larger theaters in town, of course, so the Club Haven featured offbeat fare such as O Lucky Man! (which I saw several years later), the Italian thriller Torso, and the memorable It's Alive. The Club Haven was only open for four years and closed in 1978. I couldn't even find a photo of it. 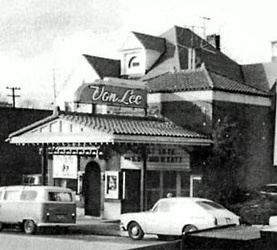 Von Lee Cinema (Bloomington, IN) - This was the first "art house" I frequented and was where I was introduced to foreign-language classics like Bergman's The Seventh Seal. Unfortunately, by the early 1980s, the Von Lee had to show more mainstream movies to stay in business--surely the fate of many one-time art houses. Still, for many years, it epitomized what a "college town" movie theater ought to be. Reynolda Cinema (Winston-Salem, NC) - There was nothing unique about the Reynolda Cinema, except it was the movie theater located closest to where I lived as a youth. My sister and I probably saw more movies there than anywhere else. 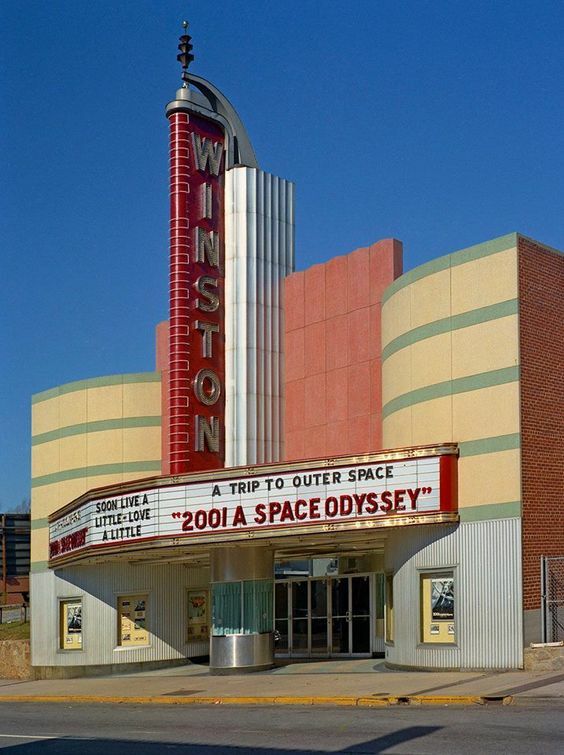 It was one of the first suburban cinemas in Winston-Salem, located across from the Reynolda Manor Shopping Center. It was the first theater in the city to be split into a twin and eventually a triple cinema. When it closed, a branch library (located next door) took over the building. Carolina Theatre (Winston-Salem, NC) - Built in 1929, the Carolina Theatre was the oldest and most elegant cinema in Winston-Salem. It was located downtown near the Carolina Hotel. Occasionally, live acts played there--such as Elvis Presley in 1956 (you could see him for less than a $1!). 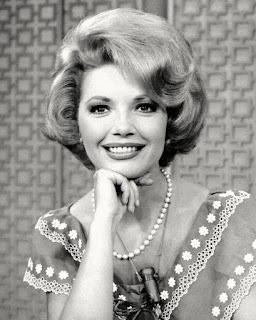 The Carolina had "kiddie shows" on Saturday mornings and, for a while, late night monster and cult movies like Reefer Madness. By the early 1970s, though, it had fallen into a state of disrepair and specialized in Blaxploitation and kung fu movies (hence, I still went there!). 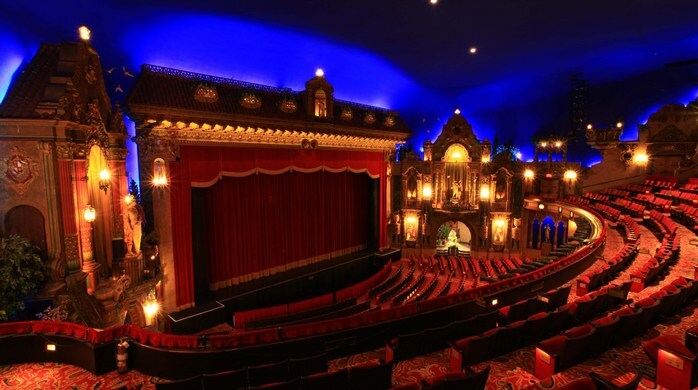 It has a happy ending, though, as it closed and was renovated years later as an upscale performing arts center. Winston Theatre (Winston-Salem, NC) - The Winston was located down the street from the Carolina and was nowhere near as decorative. But hey, it did run The Sound of Music for almost a year. More importantly, my sister worked there for a couple of summers and I got to see all the movies for free! That's where I first saw favorites such as The Day of the Jackal and Fist of Fury (aka The Chinese Connection). 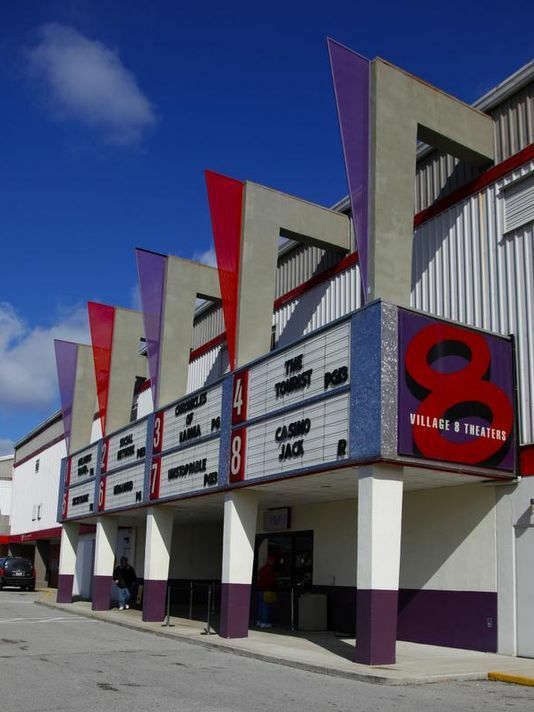 Triple Gold Cinema (Radcliff, KY) - The Triple Gold was so named because it was located in the city adjacent to Fort Knox--home of the U.S. Gold Depository. The interiors of the theaters were supposed to be gold as well (but looked more like a deep beige). The Triple Gold made this list because of its $2 Tuesday nights, a bargain price in mid-1980s. It's where my wife and I saw dozens of 1980s classics like The Road Warrior and The Breakfast Club. Village 8 (Louisville, KY) - This delightful multiplex offered a wonderful mix of lesser-known movies and second runs for a very reasonable price. It's where you could watch anything from The Grey Fox to Babette's Feast to Vertigo to an unusual double-feature of The Trouble With Harry and Educating Rita. It remained open long after the Vogue closed in Louisville, but, tragically, a Louisville friend recently told us it was due to shut its doors this year. Kon-Tiki Theatre (Dayton, OH) - The Kon-Tiki was a Polynesian-themed cinema located in a Dayton suburb from 1968 to 1999. It sported wonderfully outrageous decor and the most entertaining restroom I've ever used in a movie theater. We only went there a couple of times while visiting a childhood chum in Ohio, but I recall listening to Sly Stallone making his "why can't we be friends" speech at the end of Rocky IV. The Picwood in West Los Angeles. Saw a few score of movies there while growing up. These were major studio runs, no foreign or independent flicks, but that was okay. I always made a beeline for the loge seating, with its extra-comfortable seats and an unobstructed view of the screen. Nothing fancy about the theater itself; the money was in the full-size screen and excellent (for the time) sound system. The buttered popcorn and candy at the lobby concession stand was tasty and the Coke wasn't watered down. If you wanted to grab a breath of fresh air between double features, you could walk out onto Pico Blvd. and come back in without being hassled. There was one afternoon of watching "Dirty Harry" and "Magnum Force" where I never left my seat. I was in wonderful movie shock, no need to restock on Milk Duds or cola -- just keep going. Movie viewing at the Picwood was always a pleasure. 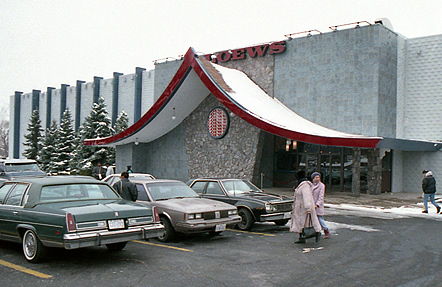 Sadly, the theater closed down in the '80s, as well as the bowling alley and game store next door, replaced by the grotesque Westside Pavilion mall and its overflow stores. Every time I smell popcorn I think of the place. Lots of good memories. I think I would have loved the Picwood! on Gerrard Street in Toronto. I saw a number of silent films there, but the one that has stayed with me is The Phantom of the Opera with Lon Chaney Sr. A recording of Swan Lake accompanied the silent movie. Even now, when I hear Swan Lake, I still get the shivers. I adore the theatre's name! If you are ever in New England, you have some great movie house choices: the Brattle Theatre in Cambridge, Massachusetts; the Somerville Theater in Somerville, Massachusetts; the Jane Pickens Theater in Newport, Rhode Island. I think you can still see silent movies in the main auditorium of the Somerville Theater. I know I have seen a few with live music accompaniment, and it was great fun. Several folks have mentioned watching silent films with live accompaniment. That sounds awesome! My first Movie Palace was the Southtown, 63rd Street and Halsted Avenue in Chicago. Moviegoing was dominated by the Balaban & Katz theater chain, which operated something like fifty or so "neighborhood houses" throughout Chicagoland. Back then, movies were in a kind of food chain: first booking was in one of the big downtown palaces, then gradually filtering down to the "nabes". The Southtown was about second or third in line, maybe three weeks or so after the downtown playoff. My family didn't do much moviegoing then; mainly for either Disney, or Martin & Lewis. 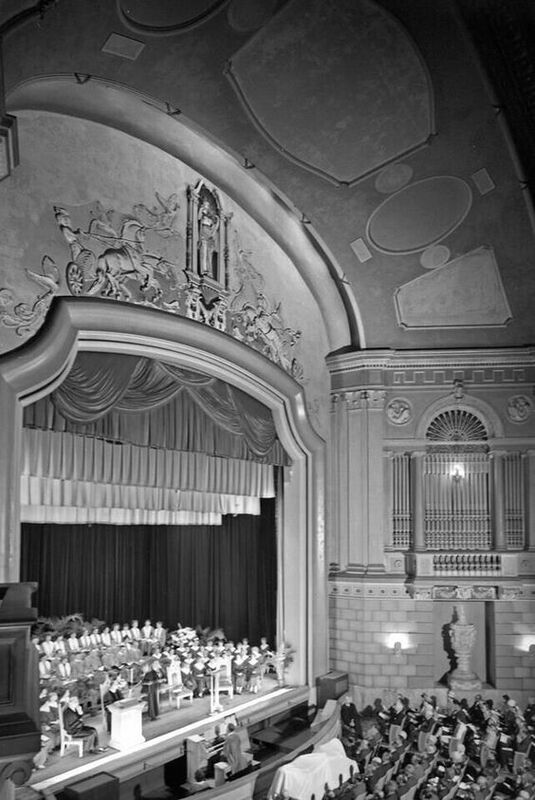 B&K theaters were generally on the lavish side, even the nabes; the Southtown was a huge building, with a good-size auditorium and an even bigger lobby. That lobby was a main attraction: right in the middle was a sizable duck pond, to keep the kiddies occupied while Mom and Dad were getting refreshments. Unfortunately, this was just at the time that the movie theater business was starting to contract, thanks to TV. The Southtown was one of the first to close; the building was "repurposed" as a department store sometime around 1960 (date approximate). I haven't been in the area for some long while, and I understand that building isn't even there anymore. From that point on, almost every movie house I can think of ultimately suffered the same fate: slow decline and internal disintegration (in more than a few cases, it was practically a dead heat between the rats and the wrecking crews). The bitter end came with the big Loop palaces, which fell into gradual disrepair during the last part of the 20th century; by the Millennium, almost all of them were gone in the Loop Redevelopment. I admit it can be depressing, but it's also fun to remember the great movie houses. I don't believe we'll ever see them on the same scale again. It's just not that kind of business anymore...and hasn't been for decades. Some beautiful theatres and great stories here, Rick. I love that you kept requesting "Curse of the Demon" and they eventually showed it. See? One person truly can make a difference! I looked it up to see a photo. Wow! My former favorite theater was Times Cinema in Milwaukee, back when it used to be a revival house. 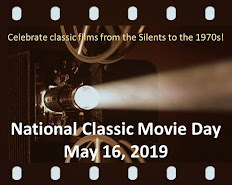 I have a lot of fond memories of watching classic movies and documentaries there - too many to list - not to mention special events like midnight screenings on the weekends, animation festivals and the occasional burlesque show (which were especially wild around Halloween). I had my first ever martini at the Times when they did a James Bond film fest, showing all of Connery's movies (excluding Never Say Never Again) over the course of a week. I recall some neat movie memorabilia in the lobby- most notably a nearly life-size statue of Hitchcock. Exactly six years ago - the first weekend in March - the theater unexpectedly closed, to my extreme disappointment, right when animator Don Hertzfeldt was scheduled to make a personal appearance (making that the second time an opportunity for me to see him in person was foiled). The theater reopened under new management, but I haven't been back since then. It's just not the same. Aside from apparently still sometimes showing cult movies on Fridays, they now mostly just play mainstream first-run films, which, if I wanted to see one of those, there are plenty of closer theaters. When I once briefly considered moving away from Milwaukee, when thinking about the things I'd miss, the Times was at the top of my list, so it was a pretty big bummer to see it stripped of nearly everything that made it special. Now that you mention it, I remember that Russ Tamblyn once made an appearance at the Times when they showed West Side Story, but I didn't go to that. The only time I saw actors promoting a movie was at the mall in 2012 - right before Times Cinema closed, now that I think about it - when I met three members of the cast of an indie movie called Dorothy and the Witches of Oz. The director, a veteran of mockbuster factory The Asylum (which should perhaps give some idea of the quality of the film), was from Milwaukee, so I guess that's how it ended up getting a very limited theatrical release here. It was honestly the worst thing I've ever paid money for a ticket to see, but when I spoke to the actors briefly afterward, they were really nice, so of course I didn't tell them what I actually thought. Outside the USA here , so in my own home town it's 'The State Theatre' Sydney, one of those Grand Movie Palaces from the 1920's which now doubles as a live theatre and concert venue as well as films. Google it for pictures to get a sense of the splendour it evoked in me as a child, I still love going there, we are very lucky that it has been kept in all it's iconic grandeur. We went every year as a family as it actually opened on the day my father was born so we always around his birthday as he considered it his very own personal cinema, a yearly treat, dinner and a show. Wonderful post and a great idea.